Conventional Loans is the most popular loan program in the United States. The Federal Housing Finance Agency announced today that conventional loan limits purchased by mortgage giants Fannie Mae and Freddie Mac will be increasing from $453,100 to $484,350 nationwide. The loan limit for owner occupant single family properties will now be capped at $484,350 from $453,100 in 2018. Gustan Cho Associates at Loan Cabin Inc. NMLS 1657322 is honoring the new increased loan limits effective tomorrow. That’s an increase from $453,100 to $484,350 for regular conventional loans and from $679,650 to $726,525 for conventional high balance loans. Don’t wait for the New Year to qualify for conforming loans. Start the mortgage process tomorrow, November 28th and close before the holidays. 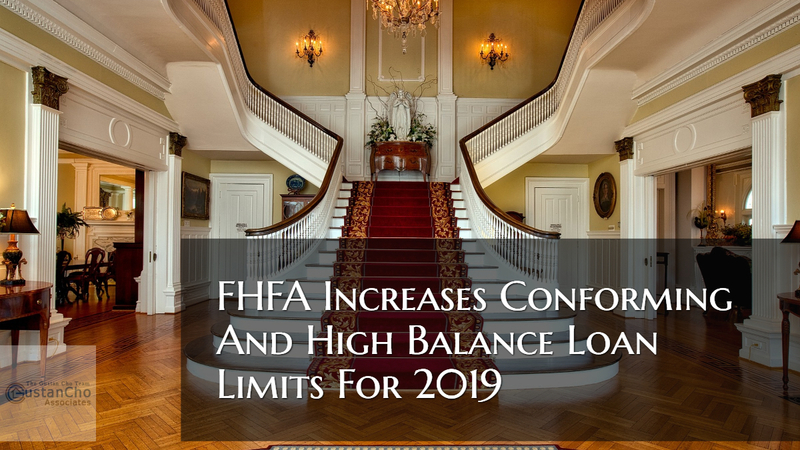 Even though the FHFA announced the conforming loan limits will be increasing starting January 1, 2018, Gustan Cho Associates at Loan Cabin Inc. are letting you submit and close your high balance loans now, no need to wait. The increase in conforming loan limits is great news. HUD, the parent of FHA, normally follows loan limit increases by FHFA. We will see what HUD loan limit increases will be in the coming days. To qualify contact us at Gustan Cho Associates Mortgage Group at 262-716-8151 or text us for faster response. Or email us at gcho@loancabin.com. Our licensed and support personnel team are available 7 days a week, evenings, weekends, and holidays.